The Saint Luis Rey Regios is a rich and smooth medium-full Coronas Extra, 5" (127mm) long, of 48 ring gauge, and comes in a 50 cigars cabinet. This is an admirable Hermoso, complex and very gratifying. It gets even better when aged for 2 to 3 years. • Its full of traditional Cuban flavors, dominated by spicy and leathery aromas. • Creamy yet complex. Goes along very well with coffee. It’s a real gem. Not sure why it isn’t more renowned. A great value for the price. A rustic looking wrapper with a bit of sheen and tooth. The pre-light taste was of a light leather. A slightly firm draw with a wavy burn. All sorts of flavors hit the palate, dark honey, coffee, gingerbread and leather with some nuts. 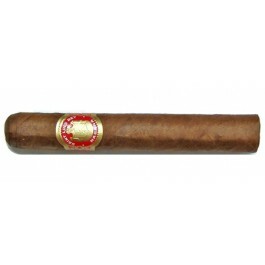 A mild to medium-bodied cigar with rich, mellow Saint Luis Rey flavors. Hints of sweet tobacco. The final third evolves into sweet honey and coffee. In summary, it builds towards the end, increasing in strength and complexity.